My love of really good food stems from a few places, but summer foods are definitely a big part of it. Growing up in Jersey there was nothing better than picking a fresh tomato and just eating it. Corn was sweet and bursting with flavor when you got it at the road side stands that dotted the drive to anywhere. 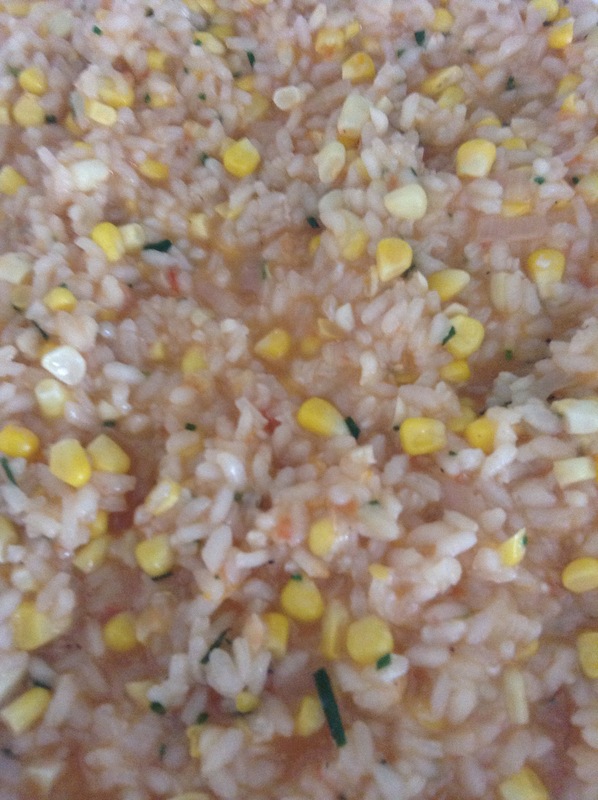 Tomatoes and corn are so tied to summer in my mind that when I came across a recipe for risotto with both, I knew I had to try it. 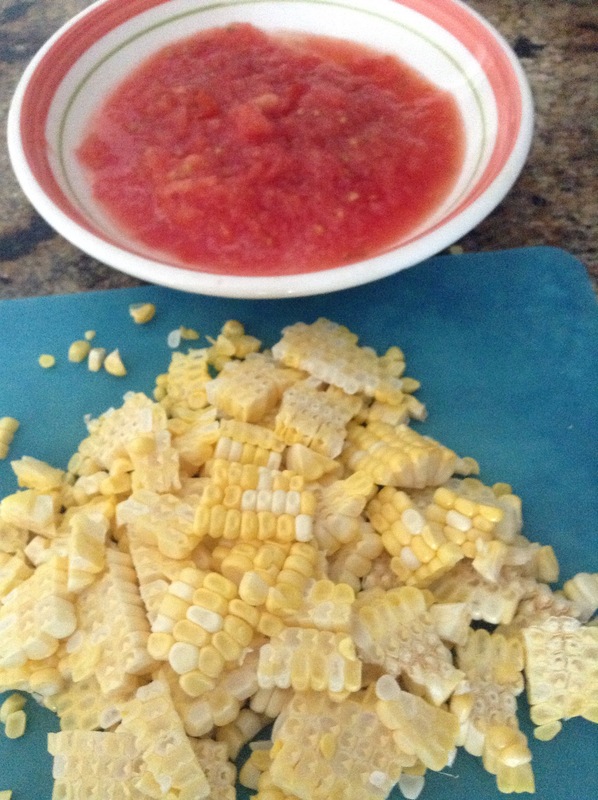 The tomatoes and corn were from the farmer’s market last week. I may have killed some of the tomato flavor by putting them in the fridge, but I knew they would be grated and I wanted to make sure they lasted. I did make a minor change to the risotto recipe – rather than using a dry white wine and sugar, I used a semi sweet rose that we had open. It worked well. I also figured that the color would not matter since the tomatoes get added early so the rice takes on a pink color from those. I also salted more than just at the end; I am a firm believer in seasoning several times during the cooking process. 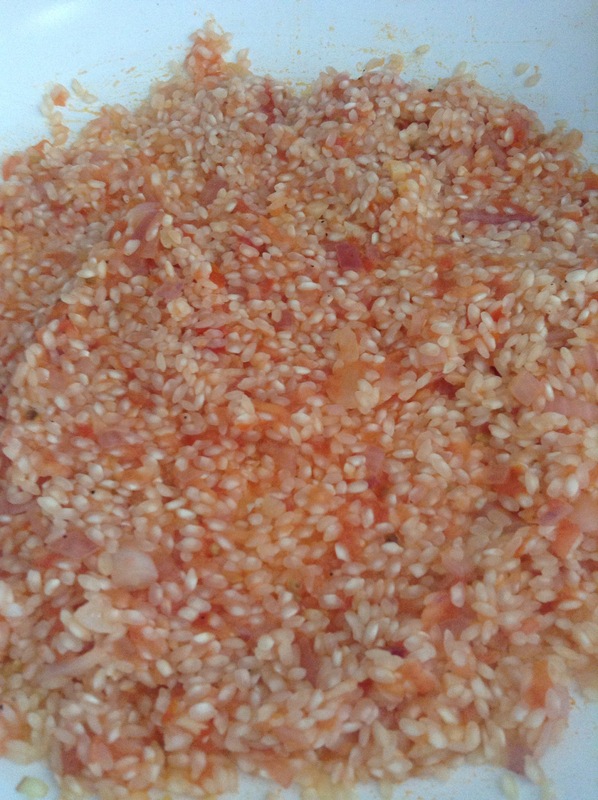 I will also say, this particular recipe makes a lot of risotto – enough that we will be eating it for lunch most of this week. For herbs I used a mix of basil and chives. I really wanted to use more basil as it goes so well with tomato, but I just didn’t have enough in the garden. So chives and basil mixed in at the end gave this just an added flavor and kept it light. So the NY Times cooking app is successful once again. One great joy of summer vacation is that I get to work through my back log of saved recipes from the school year. 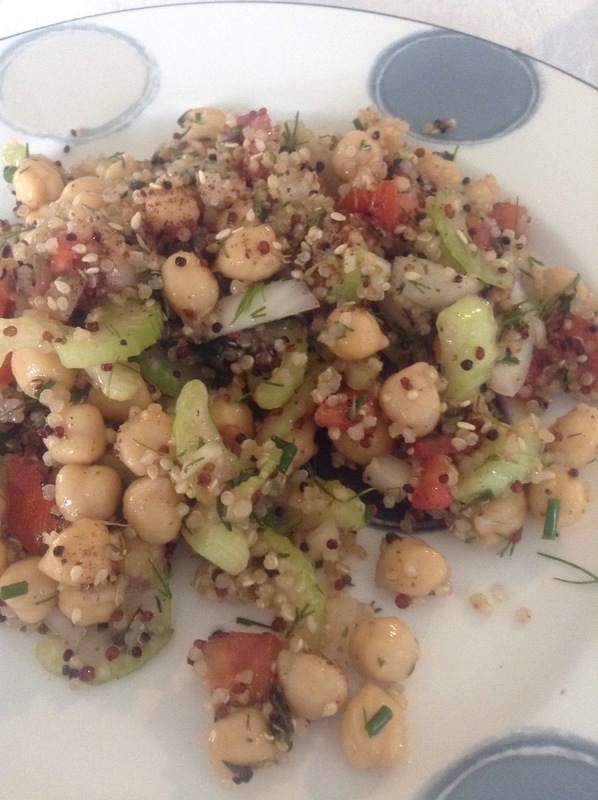 I tried a great salad the other day that combined about three different recipes and was just about perfect. 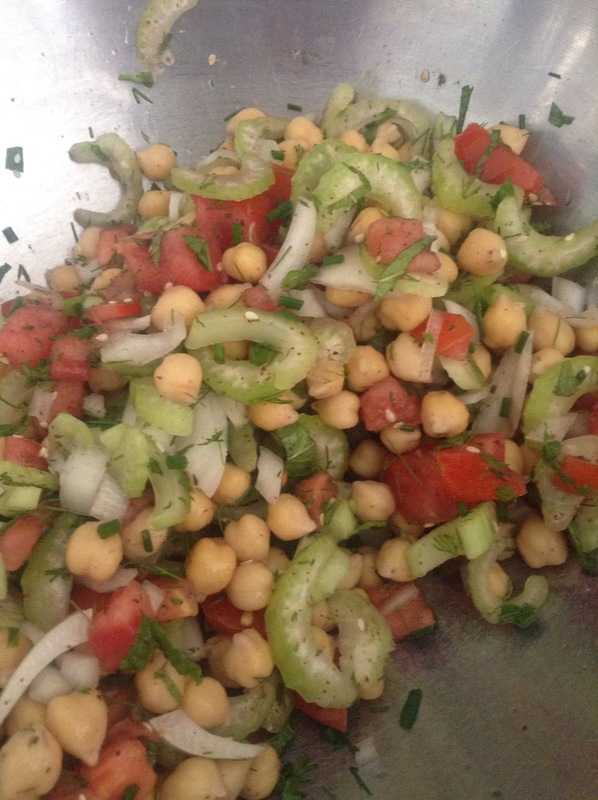 (Will post later) Last night I tried another NY Times recipe – this time for a vegetarian empada. 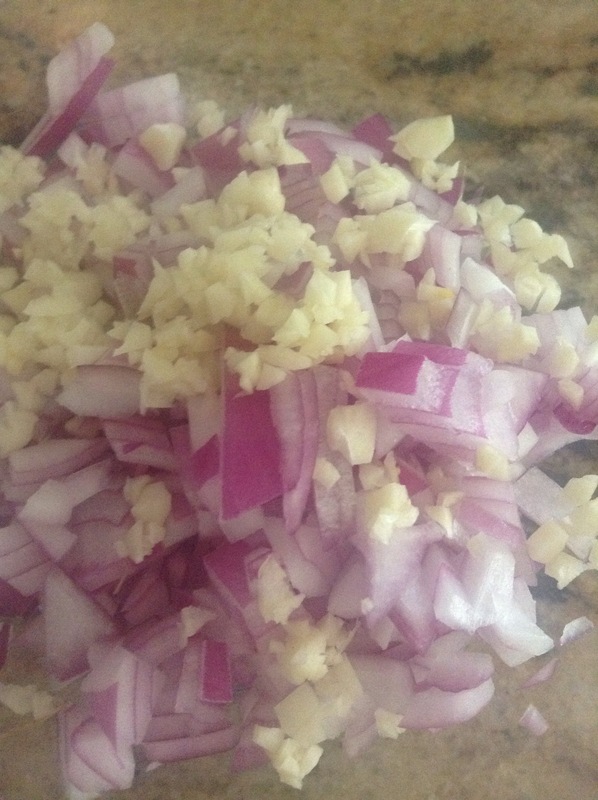 This starts out with a simple red onion and garlic dice. I fully admit to using way more garlic than the recipe calls for (I used three cloves) but this was the right call. 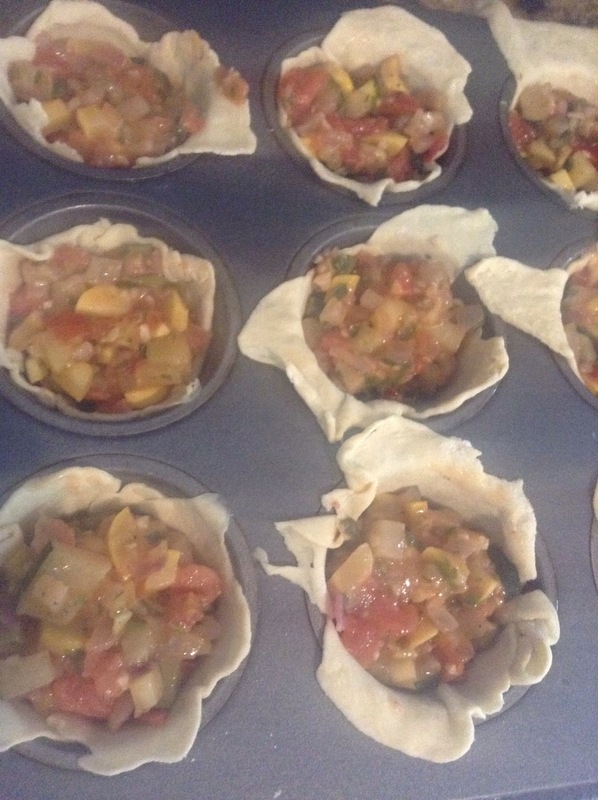 These little dears may have a puffed pastry shell, but they are filled with veggies – eggplant, zuccchini, tomato, squash. Getting everything cooked together isn’t hard – it does take time, but once its all chopped up, its pretty easy. To save time I chopped the squashes and eggplant while the onions and garlic cooked then chopped the tomato and herbs while the squash cooked. The biggest pain portion of making these was the dough. Yes, I used store bought puffed pastry, but cutting, rolling and closing these is not the easiest thing in the world. I am pretty bad at making food look perfect (or even really good sometimes) but I didn’t do too bad on these. 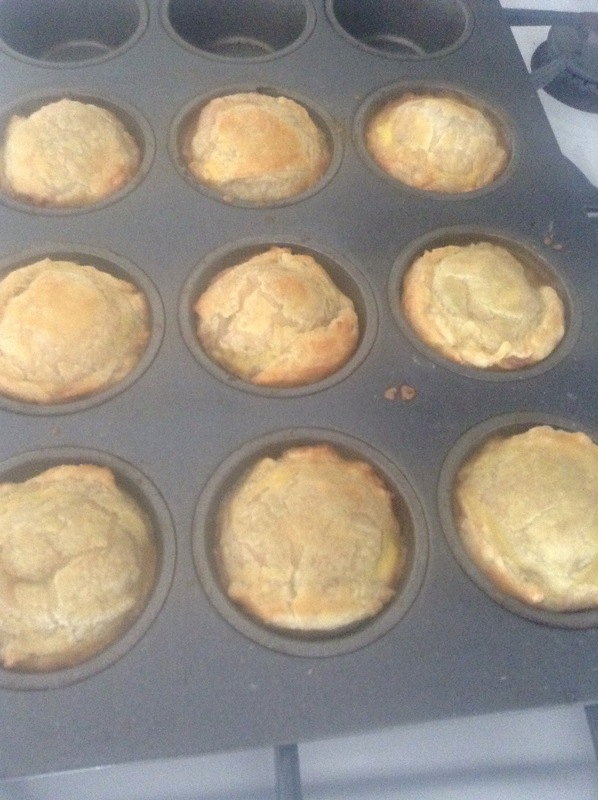 The original recipe called for making six, but I didn’t have a six cup muffin pan – I have twelve. 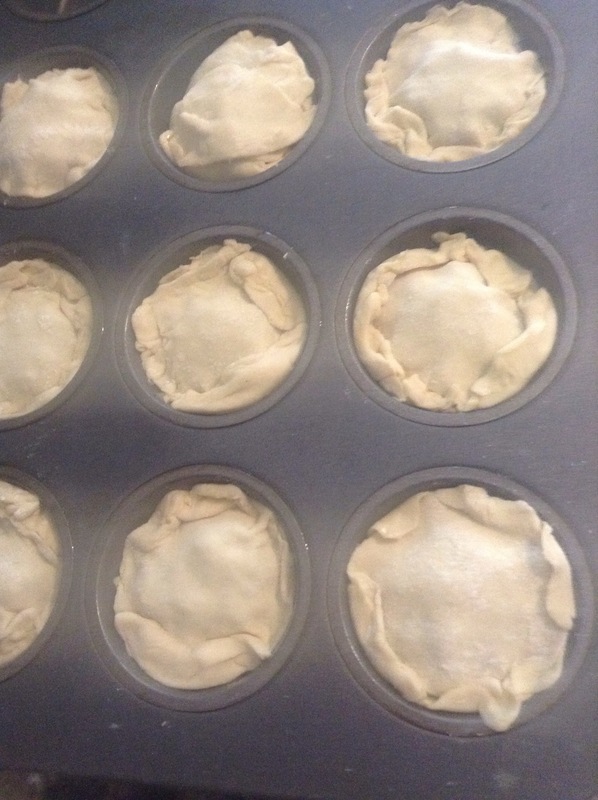 So I cut a little extra dough, made each a little smaller and thinner, and made nine little empadas. 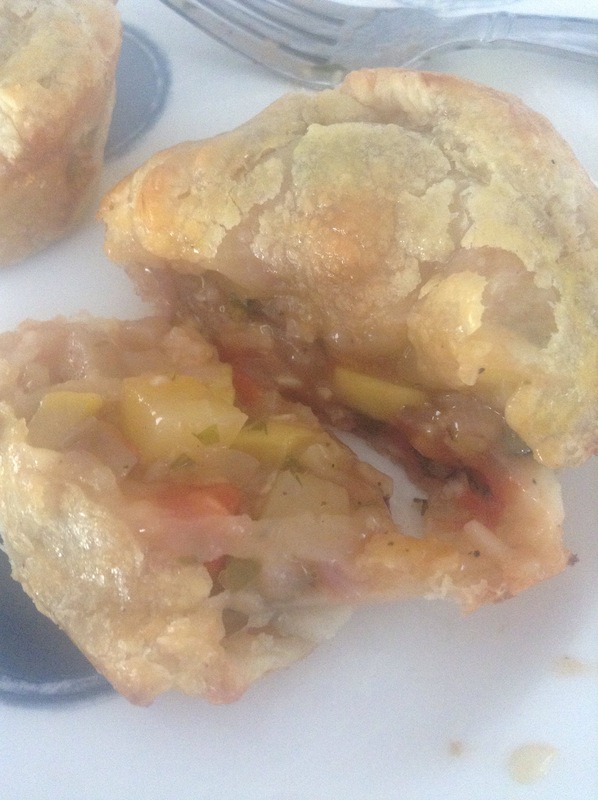 Because I made these smaller than the recipe calls for, I reduced the cooking time to about 20 minutes. I could have gone a little less I think, but I wanted to make sure the filling was hot since I made them ahead of time and kept them in the fridge until it was time to cook them. Not bad, right? They look like little muffins and I even managed to remove them from the pan without breaking any. The verdict? Good. Very good. 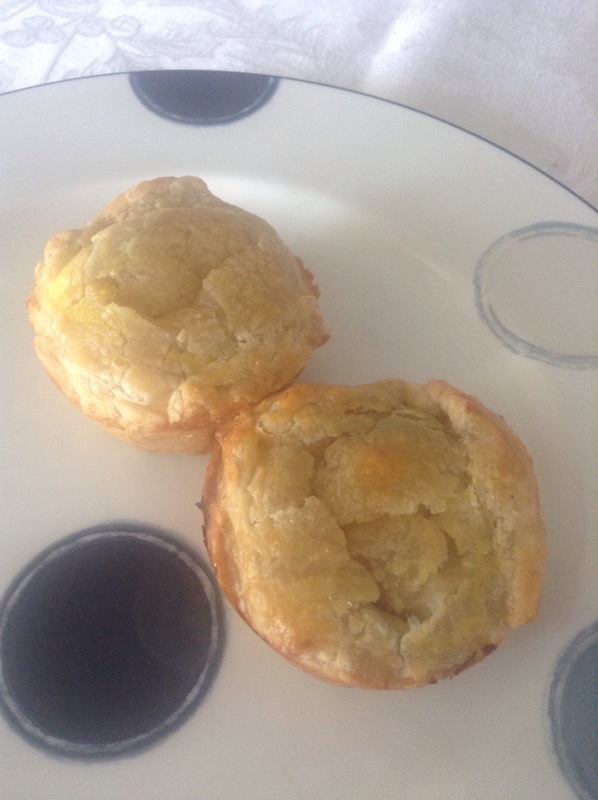 A make again good, but I may need to change the recipe just a little more. As much as I hate to admit it (because I really like this no meat cooking thing) I think I may use beef broth to mix with the flour next time. Bob thought they needed a little something and I do agree. If I liked mushrooms, those could work too, but I wanted something with a deeper flavor to truly love these. 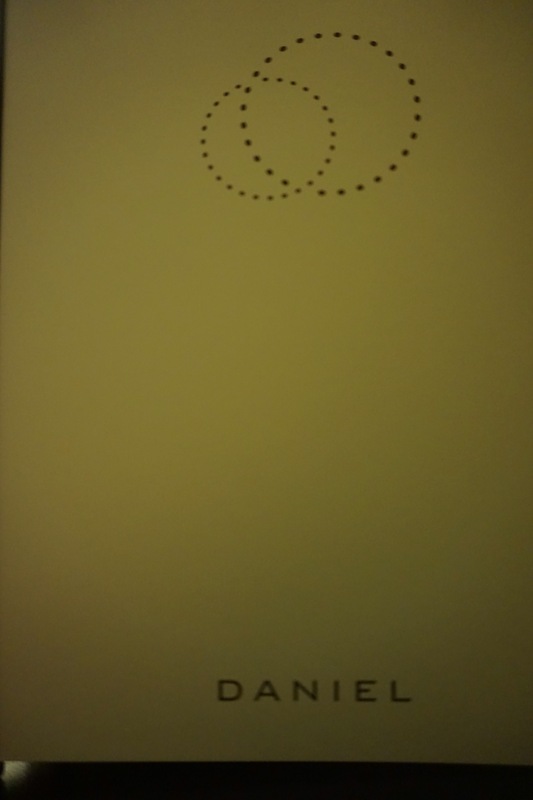 So overall a good experiment and fairly successful. I have probably mentioned the difficulty of buying anything for Bob since if there is a gadget he wants, he just gets it. Early in our relationship, I just planned a trip for us and that was his present. It worked in a lot of cases because we were a thousand miles apart so a trip to DC or NYC or such was the perfect solution. I’ve pretty much decided this was one of my better ideas (as Bob doesn’t book the trips himself) and so we are going back to this Idea for presents. When we decided to go to NY, we searched for restaurants where we could have an exceptional meal. This is not hard to do in New York. The trick was finding a great restaurant that we could get a table at on a Friday night that we both want to go to. We looked at a few options and Bob booked a table at Daniel in the lounge. The lounge is a small, dark wood paneled room off the bar area. Same menu, same quality service as the main dining room, but slightly less intimidating. And intimidating is the right word. Grand is the best way to describe Daniel and it was more formal than Alinea so I wasn’t comfortable taking out my camera to take pictures. So, sorry, no food pictures today. But it was exceptional. The food, the wine, the service was absolutely perfect. Saturday we met up with Ed and Erin and saw An Act of God. This show is based on God’s tweets. (Yes, apparently even God is on Twitter.) I heard about this in an interview with a comedy writer who started the Twitter account a number of years ago, then turned the tweets into a book and finally a play. It sounded hysterical and when I heard Jim Parsons was going to play a God … well … I texted Erin to see if she would want to go, and booked the trip. I was so glad we went. It was funny and irreverent – to both the left and the right – and hit all the right notes. Realistically, it is God talking so there is a leg up on knowing the audience. I will say this – if you are in or near NYC this summer and want to spend an hour and a half laughing, go. 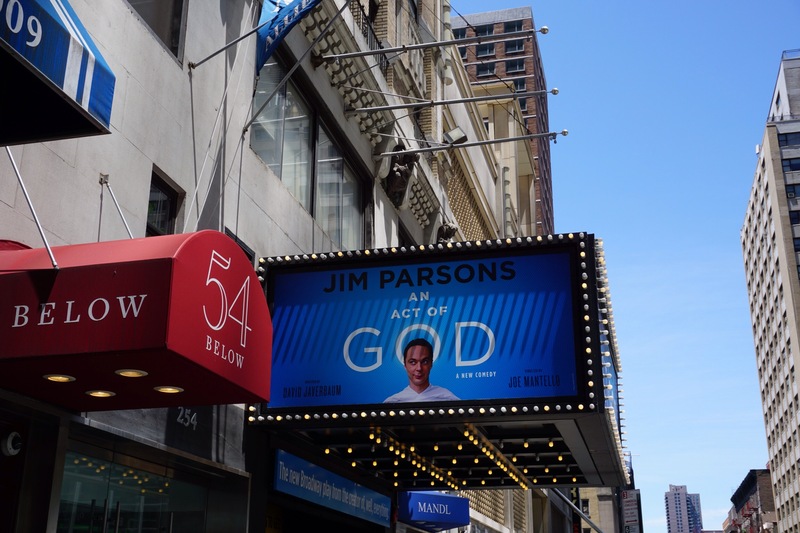 Go see An Act of God. After the play we headed to Babbo for another fantastic meal. We were able to find vegetarian options for Erin and I, and the boys were able to have meat dishes – all of which were fantastic. The sommelier even helped us pick a bottle of wine that we all loved – not an easy task given our varying tastes. But he did, and we greatly appreciated it as it made the end of our trip as enjoyable as the beginning. Every year Val taunts me with texts of mango. Fresh, right from the trees mango. Boxes and bags of ripe, fresh mango. But, once a year we try to do mangopalooza, mango madness or some such mango themed party. This year it was Mangofest. 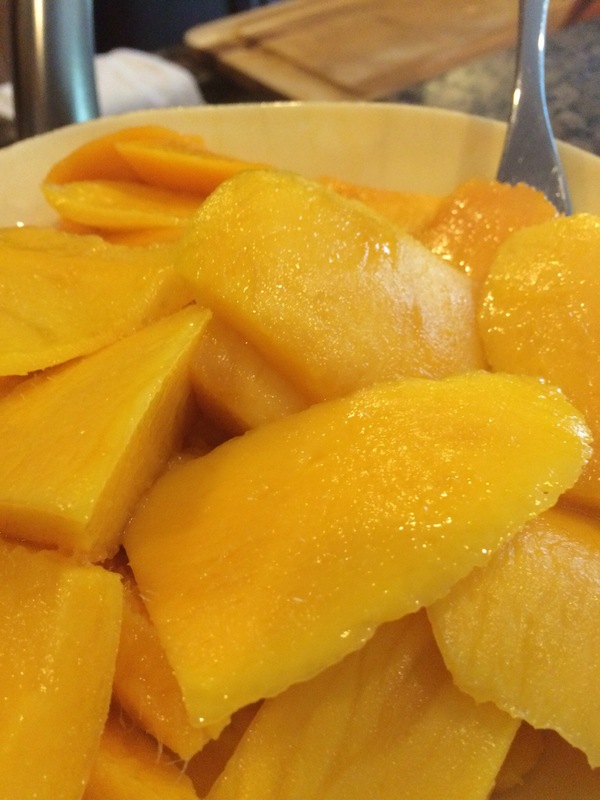 So, what can you do with mango? Obviously fresh mango have to be a part of this. These are not your grocery store mango. These are edible sunshine. 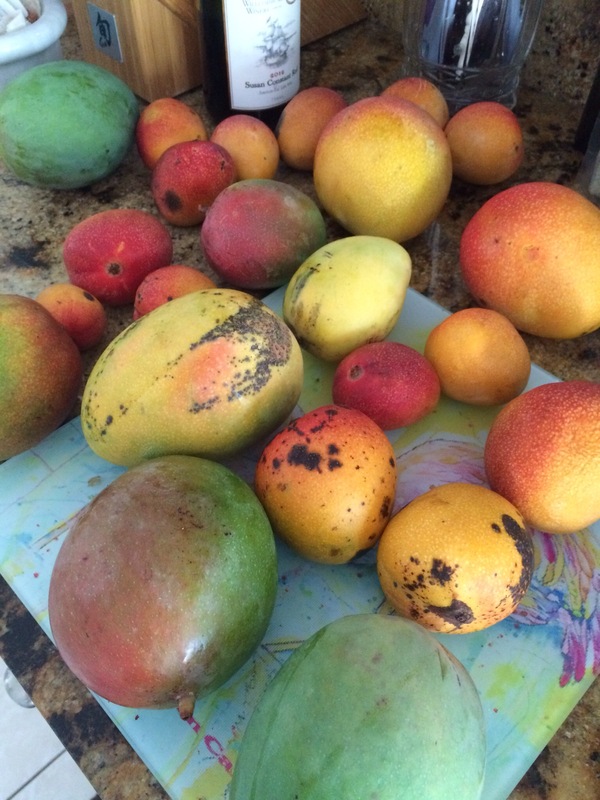 It is a shame mango season is so short, but we gorge while we can. There was also dried mango which may sound weird, but all the concentrated sugars make them highly addictive. We went through Val’s entire stockpile of dried mango. The entire thing. There was mango-kale salad. 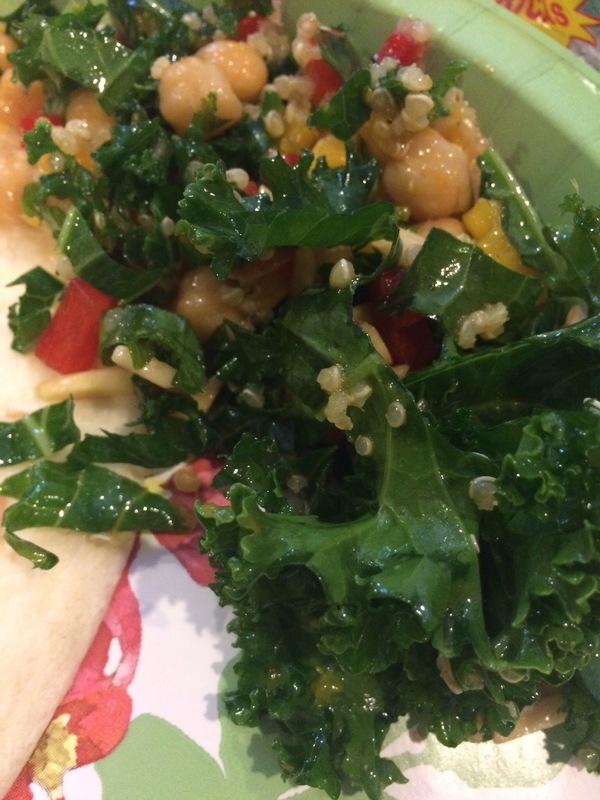 This was not as good as the magic kale salad, but it was darn good and fit the mango theme. 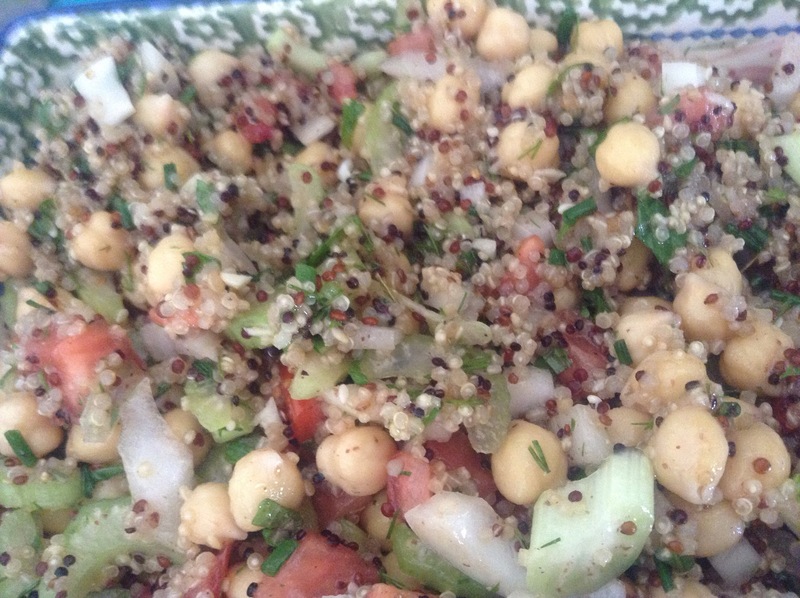 Kale, quinoa, chickpeas, mango, red pepper, almonds and a light dressing. It worked pretty well. 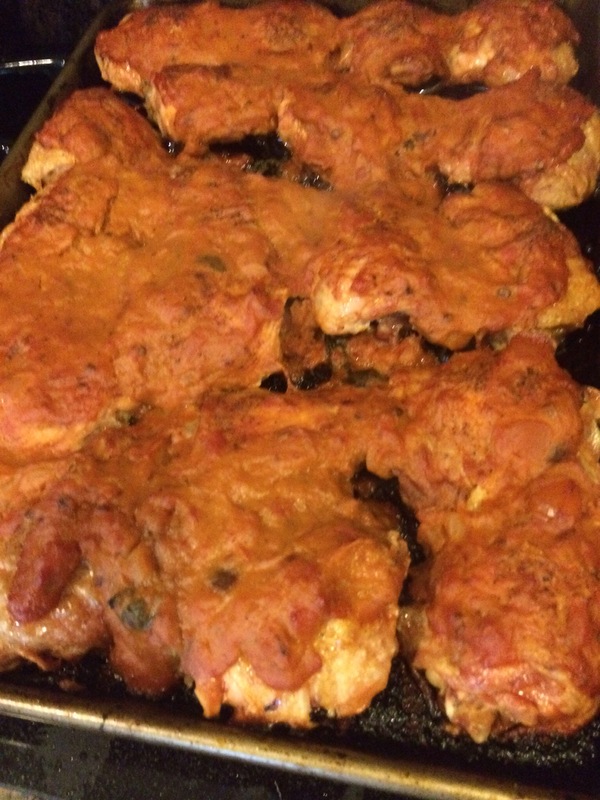 Not nearly as pretty, but just as tasty (or so the boys told me) was the mango chicken. Val started a mango BBQ base and had me finish the seasoning since I like BBQ sauce and she doesn’t. 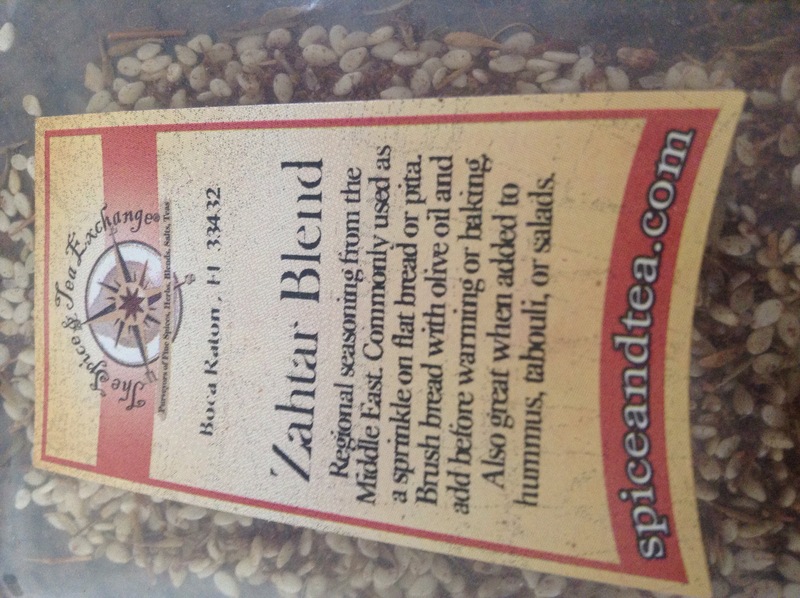 Chipotle peppers, mustard, salt and pepper … it wasn’t bad, but I thought it needed an earthy note. No one complained so we will count it as a minor success. 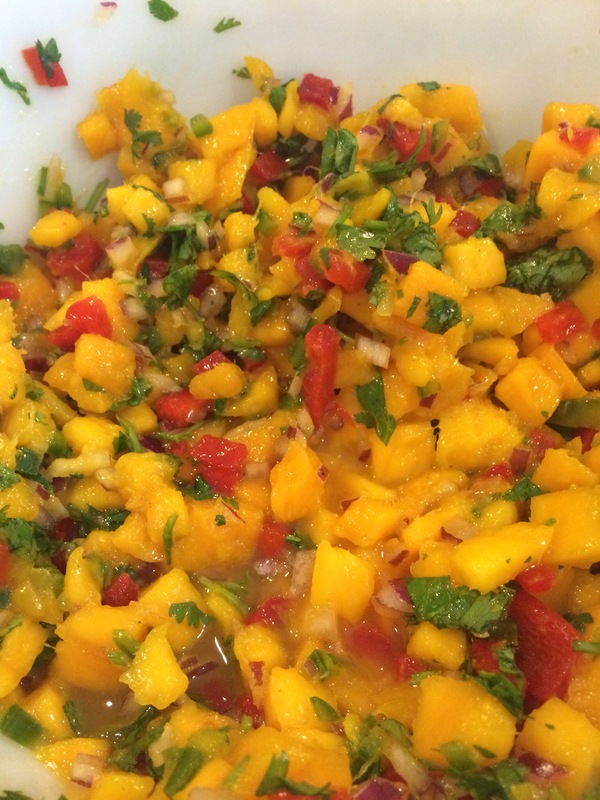 The star of the show was the mango salsa. Mango, red onion, red pepper, cilantro, salt and lime juice. This went on the pork for mango pork tacos and was eaten plain with chips. Once we tasted it, Val made a second batch and by the end of the night, it was totally gone. I plan to make this myself this week. It really was that good. Mango season will be over before we know it and the magic will be gone for another year. Thankfully Val sent me home with a bag of mango so I can make a few dishes myself this week. Bob may get very tired of mango, but then he won’t have to eat it for another year since I just cannot bring myself yo buy grocery store mangos. They are just not the same. It’s like the Jeresy tomatoes – once you have them fresh, nothing else will ever do. I’m not sure how many people are aware of my seemingly never ending battle to make icing. It started a few decades ago trying to make Grandmom’s mocha icing for the coffee chiffon cake. It crept into buttercream icing and glazes. No matter what I tried, which recipes I followed or how many times I tried, icing eluded me. Until recently. 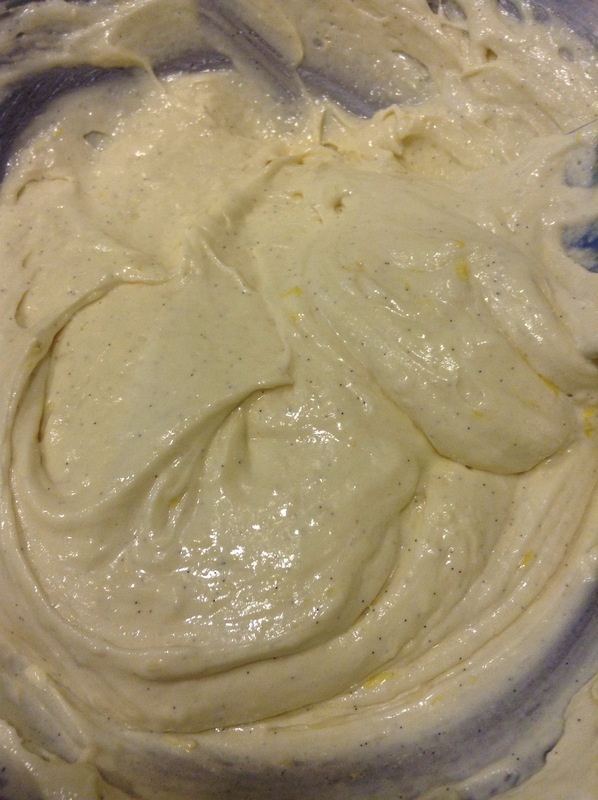 Two Christmases ago I mastered the mocha icing for the chiffon cake and now … Cream cheese icing! Ok, it’s not a full buttercream, but when your husband pronounces it perfect and the comment from totally impartial work colleague is “superb,” I think it’s safe to say it is a winner. After making a roasted butternut squash salad with a lemon tahini vinegrette for dinner (also particularly good) I decided I wanted cupcakes. Really I wanted cake, but cupcakes are cake. So I went with it. I found a recipe and went for it. I separated eggs, whipped butter and sugar, whisked egg whites and gently folded everything together. I used real vanilla beans, scraping the inside of the bean. 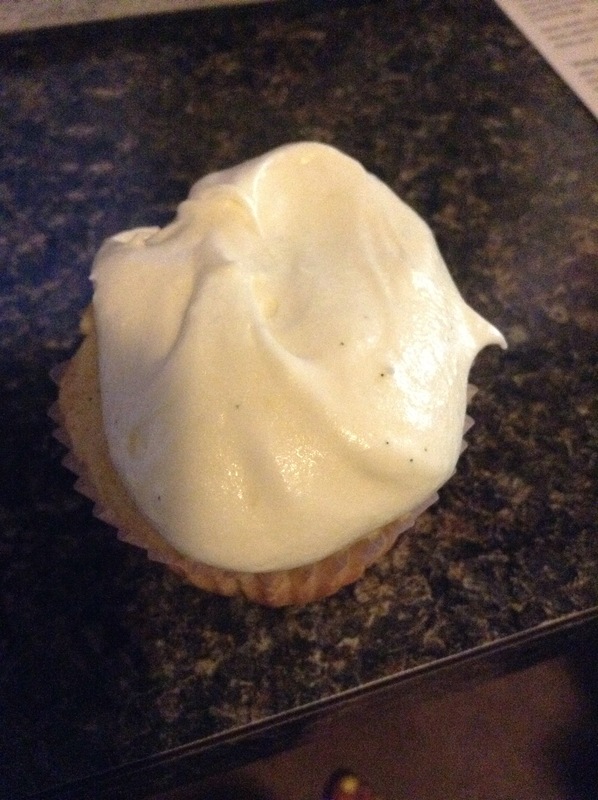 This was more than a ‘quality ingredient’ thing – I didn’t have any vanilla extract in the house. 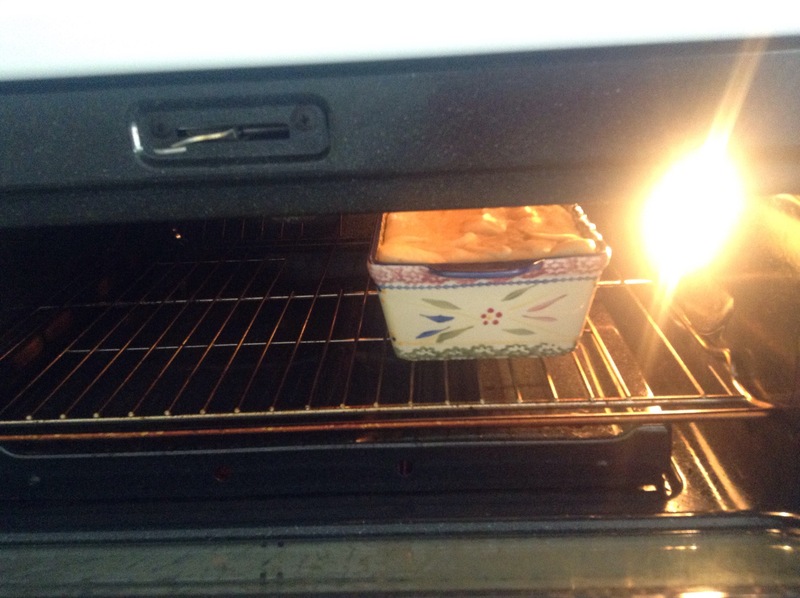 I zest end a lemon and carefully filled my tins. While the cup cakes cooked, I worked on the icing. I made half the recipe for each of these, so there is more vanilla and lemon than the original calls for. I used a little less butter than the icing recipe calls for and again used the vanilla bean. I didn’t like the consistency of the icing as I was making it, so I used a lot more confectioners sugar – probably twice the amount. 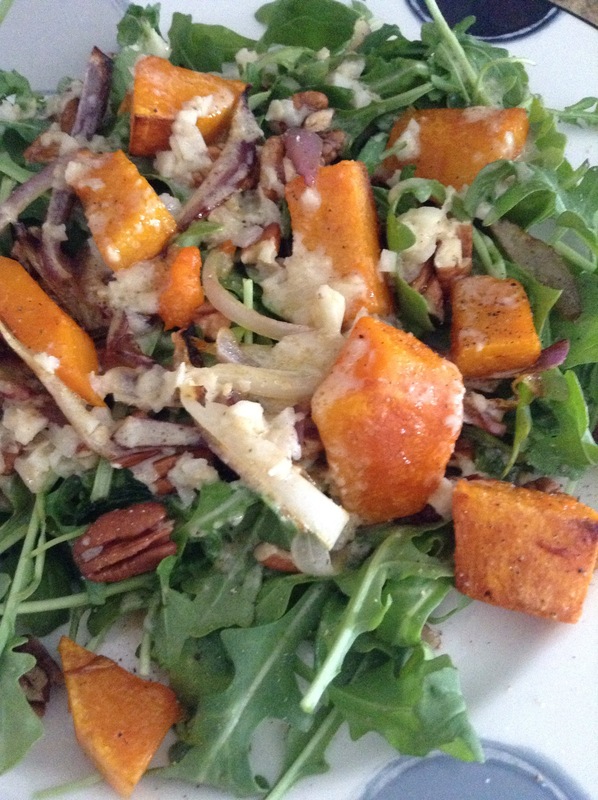 The result, however was a little questionable until I fasted it – it was good. Really good. Bob called this the best cupcake I have ever made. He asked that I not take the batch to work, but I had to bring one in for one of my bosses; the man has given me enough candy and cookies on stressful days that I owed him one. And who can resist a cupcake? So after trying to make icing, unsuccessfully, for the better part of two or three decades, I am finally mastering it. I may not be able to grow more than rosemary in Florida, but apparently I can make icing.